There were 75 damaging storm reports on Thursday, with tornadoes reported in Illinois, Kansas and Iowa. Radar estimates showed more than 5 inches of rain fell just south of Tulsa, Oklahoma, over just a few hours, flooding streets and stalling cars. Strong winds — with gusts of 60 to 70 mph — damaged parts of Kansas and Alabama, where a tent collapsed and injured a dozen folks. Trees were uprooted throughout the Plains and Midwest. 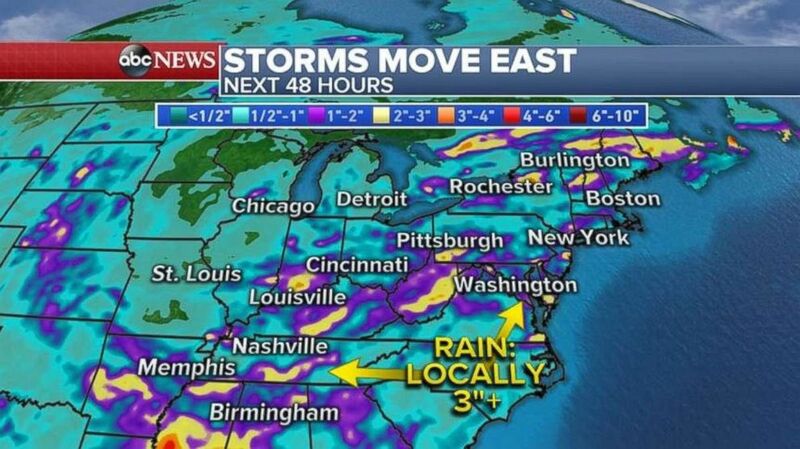 The storm system responsible for that is moving east this morning, nearing the Ohio Valley and Great Lakes. 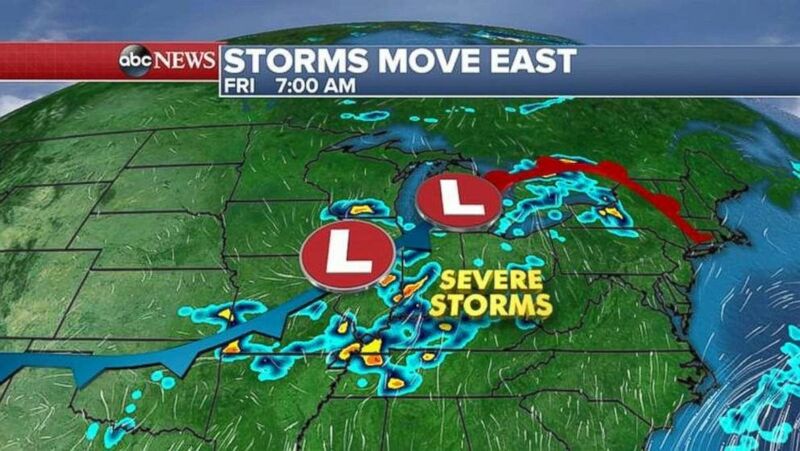 Severe storms are making their way across the Midwest, heading east. Strong to severe storms are expected later this afternoon throughout the Northeast, from Pennsylvania all the way to Vermont. Damaging wind, hail and isolated tornadoes are all possible. 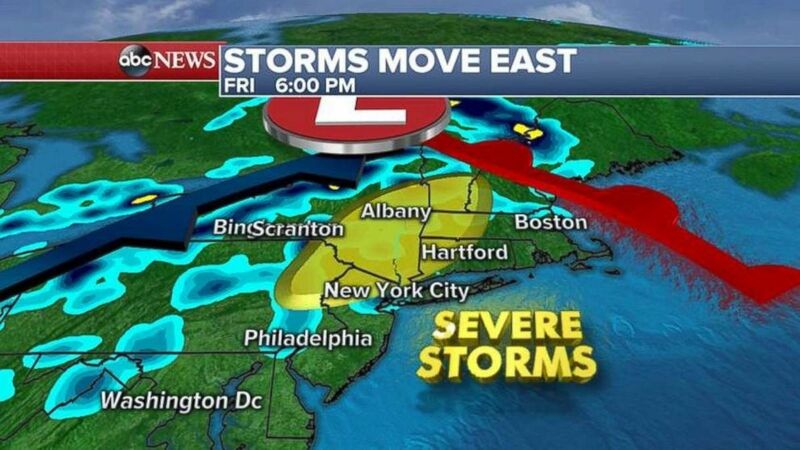 Severe storms are expected tonight in the Northeast. By Saturday, the cold front likely will make its way to the coast, continuing the threat of heavy rain and storms from Washington up to Boston. Flash flooding is possible is several regions over the next 48 hours, with more than 3 inches possible locally. Certain spots may see 3 inches of rain over the next 48 hours.